The Brand New Leopard 51 Power Cat Catamaran. Perfect for day cruise, she can take up to 20 passagers. Has an excellent crew of three onboard. The Leopard 51 Powercat brings with it a multitude of exciting features, including a sleek design, a large forward cockpit, additional lounging areas, an expansive flybridge and a completely redesigned interior upgraded with modern appliances. 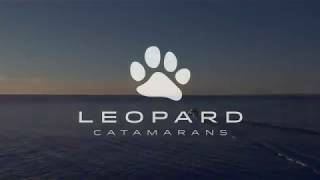 Drawing upon the success of previous Leopard powercats, this economically efficient catamaran uses less fuel than other power models. She also incorporates a brilliant ergonomic layout that makes maneuvering around your yacht comfortable and easy. This yacht also boasts a large and open saloon, a galley with the latest appliances, and a 3 or 4 cabin layout with en-suite heads. The Leopard 51 Powercat combines the best from our sailing fleet with the luxury and ease of a power yacht. - Price included for 10 pax. - Price for Full day (8 hrs). - Return transfer service within Phuket Island. - Welcome drinks and nibbles upon arrival. - Half bottle of wine or sparkling and 3 cans of beers per adult capped at 30. - Floating sofa and noodle seats. - Navigation Zone : Phang Nga, Naka Islands, Rang Yai Island, Khai Islands. - Embarking at 9:00 hrs. on first day will have you disembarking at 9:00 hrs. on the next day. - On your last day an additional charge of 20,000 THB can be paid to extend your time on the boat until 18:00 hrs. - Price included for 6 pax. - Lunch / DInner / Breakfast. Fuel Surcharge : Apply to destination outside of Navigation zone.